Lionsgate seems to be taking a piecemeal approach to marketing the highly anticipated adaptation of The Hunger Games. We’ve seen a few images here and there over the past few months, and this morning the studio has released a new image giving us a peek into one of the book’s more famous scenes. Jennifer Lawrence and Josh Hutcherson are sporting their best future costumes as they ready themselves for the opening ceremonies of The Hunger Games. Their wardrobe is designed to be reminiscent of coal, and the costume department looks to have done a fine job here. 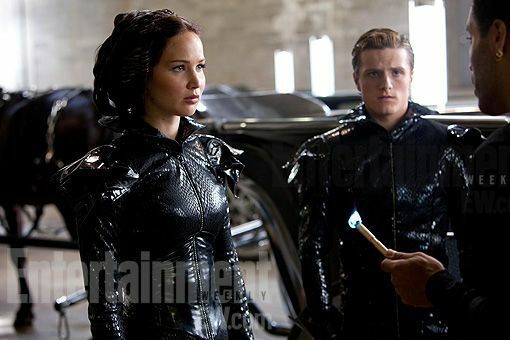 We also get a tiny peek at Lenny Kravtiz’s Cinna, as he’s holding a flame curiously close to Lawrence and Hutcherson’s costumes. The film is poised to be a monster hit, and a screenwriter is already hard at work on the sequel Catching Fire, so expect Hunger Games mania to set in come springtime. Hit the jump to check out the image. The film also stars Liam Hemsworth, Woody Harrelson, Elizabeth Banks, Stanley Tucci, and Donald Sutherland. 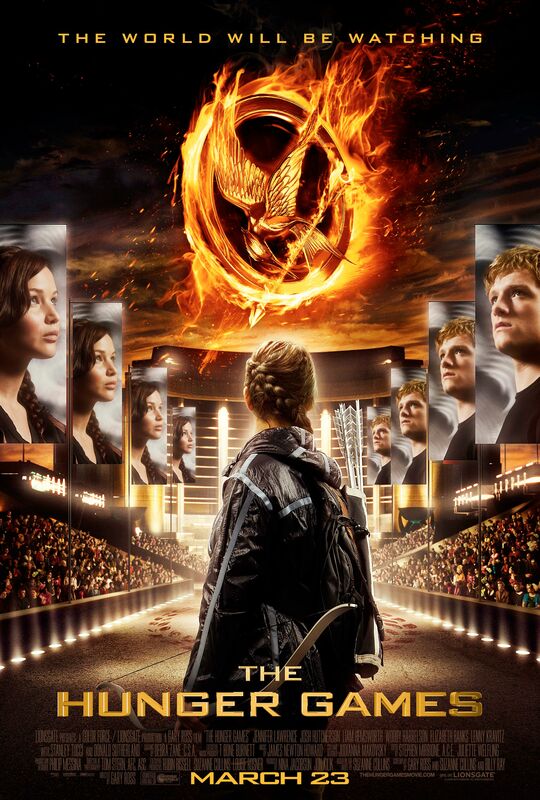 The Hunger Games opens March 23rd. Every year in the ruins of what was once North America, the evil Capitol of the nation of Panem forces each of its twelve districts to send a teenage boy and girl to compete in the Hunger Games. A twisted punishment for a past uprising and an ongoing government intimidation tactic, The Hunger Games are a nationally televised event in which “Tributes” must fight with one another until one survivor remains. Pitted against highly-trained Tributes who have prepared for these Games their entire lives, Katniss is forced to rely upon her sharp instincts as well as the mentorship of drunken former victor Haymitch Abernathy. If she’s ever to return home to District 12, Katniss must make impossible choices in the arena that weigh survival against humanity and life against love. THE HUNGER GAMES is directed by Gary Ross, and produced by Nina Jacobson’s Color Force in tandem with producer Jon Kilik. Suzanne Collins’ best-selling novel, the first in a trilogy published by Scholastic that has over 16 million copies in print in the United States alone, has developed a massive global following.